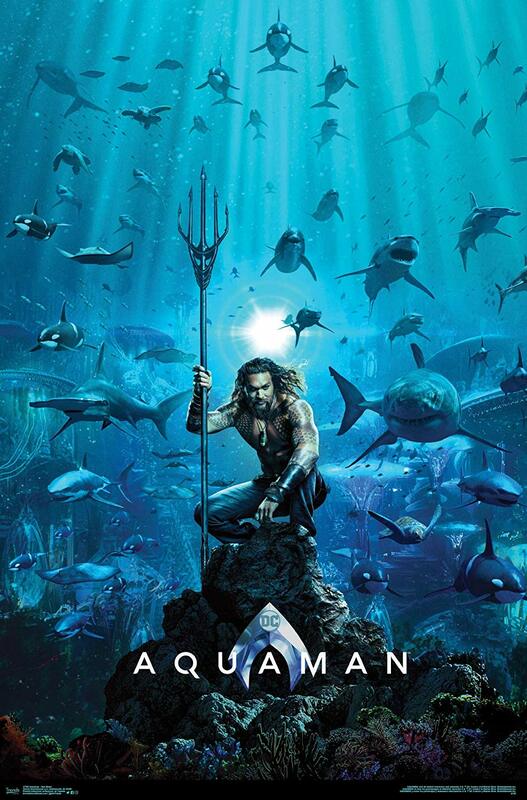 Posted on April 9, 2019 by Ava G.
I recently went and saw Aquaman, and walked into the theater with the mindset that it would be just like all the other Marvel movies, super dark, a lot of action, a little storyline and some comic relief. And, this movie finally broke that formula though, it wasn’t necessarily anything that seemed that original. But, it was more of a fluff movie than some of the other recent and extremely dark Marvel movies that had been coming out like Avengers. So, it was nice to have something different that was slightly less dark with a little more storyline. In essence, the movie seemed pretty typical. A forbidden love between two worlds with a child that has to bring the two together. And, of course, the child at first does not want to but, in the end, decides to try to save the day. So, the storyline is pretty much predictable. Though, the actions scenes where cool and the special effects throughout the entire movie were extremely well done. This movie is the perfect movie to go and watch and turn your brain off. It is entertaining without much substance. But it provides a nice break to just stop thinking. I would suggest as a movie to go out and see with your friends and family to just have some fun. Since it is more of a light fluffy movie than a typical dark Marvel movie, you can finish the movie and not have that air of darkness and instead, it leaves you with a happy humorous mood. So it is great to just have some fun.